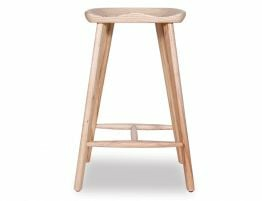 The Manga Kitchen Stool in solid American Ash stained black is a hardy able wooden stool that delivers a true natural plantation style that Australian contemporary design is all about. 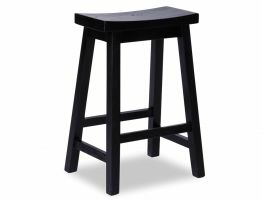 The black stained timber stool is acquainted with a contemporary design and a hard wearing finished form to last many years of entertainment and family meal time. 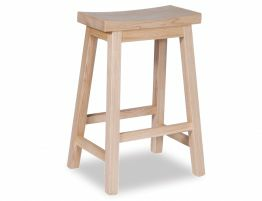 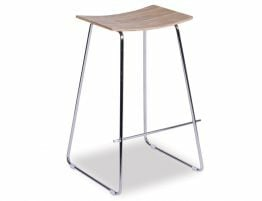 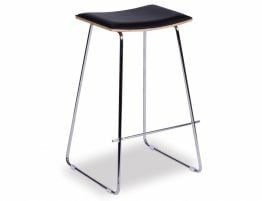 The thick heavy duty structure and feel of the Manga stool delivers a very robust stool that is sturdy, heavy and very stable with no joins, no screws unlike other flat pack versions made of laminated timbers. 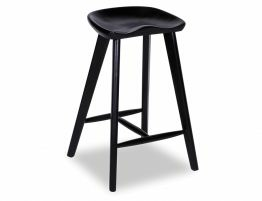 Made in solid American Ash timber, The Manga Stool is stained in black giving it a most textured timber look. 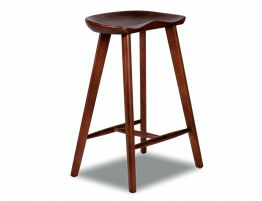 Soft on the eyes yet hardy in form, The Manga Kitchen Stool is an ideal preference for you kitchen seating arrangement.